I’m With Her is the coming together of three acclaimed musicians, each with their own impressive careers. Aoife O’Donovan is an exciting innovator in the folk world, having been a member of Crooked Still and Sometymes Why. Sara Watkins is a founder of the bluegrass band Nickel Creek where she played the fiddle, in addition to singing and playing both guitar and ukulele. Sarah Jarosz is accomplished on the mandolin, guitar, and banjo, winning multiple awards for her numerous albums as a solo artist. After running in similar circles for years – developing a great admiration for each other as musicians – the decision to form I’m With Her was finally made in 2014 at the Telluride Bluegrass Festival. Described as “willfully open-hearted” (NPR) and “a breath of fresh air” (Copenhagen Post), I’m With Her’s trademark sound is based on tight harmonies. Voices interweave, switching places as only an equal-voiced ensemble can do, to create when The Guardian calls a “mesmeric blend”. Much like their vocals, the group’s songwriting is a complete collaboration. The music combines elements of folk, bluegrass, Americana, and gospel, resulting in storytelling that combines quiet intimacy with spirited restlessness. Individually, I’m With Her’s members have a long list of awards and notable collaborations. 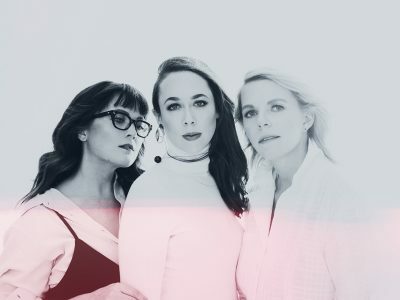 Sara Watkins accumulated awards while playing with Nickel Creek, Aoife O’Donovan has recorded and performed with Yo-Yo Ma and lent her music to be recorded by Allison Krauss, and Sarah Jarosz won the 2017 Grammy for Best Folk Album. Together, the trio has taken the folk world by storm, receiving rave reviews from NPR, The New York Times, Rolling Stone, and many others. Since releasing their debut studio album See You Around in February 2018, this new supergroup has been the talk of the folk music world. 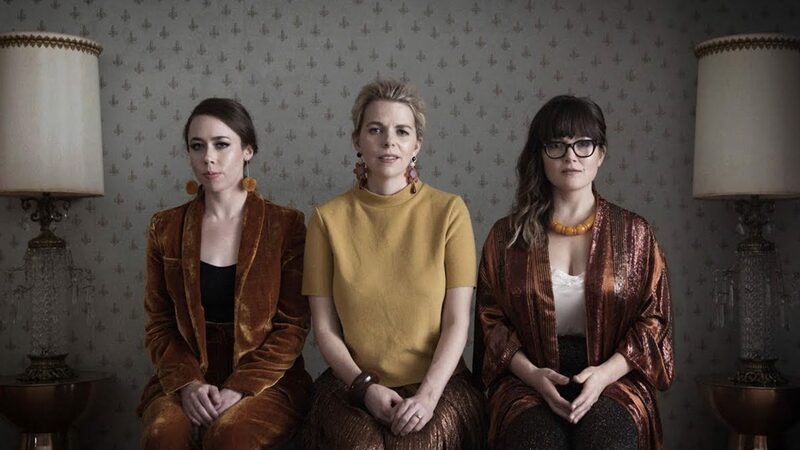 In tandem with their current tour, I’m With Her has been featured on the cover of The New York Times Arts section, Jimmy Kimmel Live, Tiny Desk concerts, as well as on numerous radio and podcasts. They continue to bring their “ethereal” sound to folk festivals and halls all over North America. 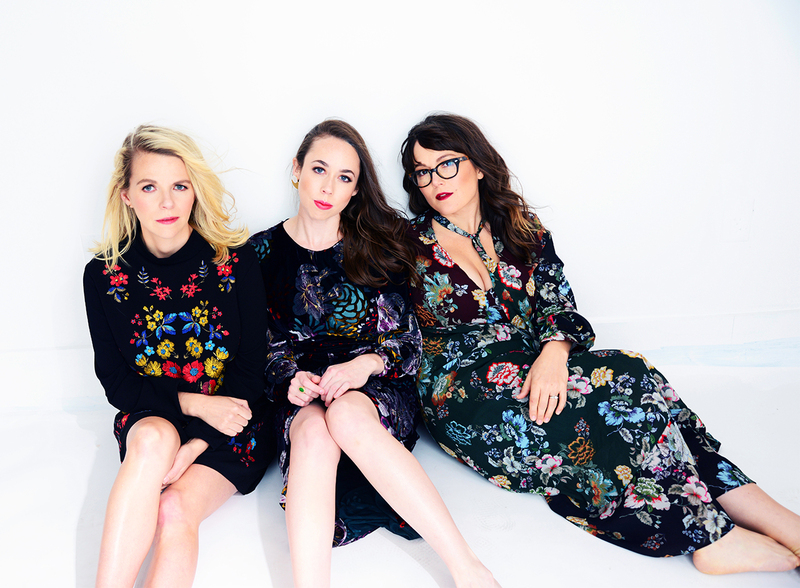 I’m With Her is a particularly notable step in Sarah Jarosz’ career as her first band. She met Watkins as a 9-year-old mandolin prodigy and O’Donovan at age 15, and grew up listening to both their music. Years later, the band’s name was chosen to emphasize the enduring mutual admiration on which the group was founded. From the beginning, we wanted to be a band, and not a side project. By saying, 'I'm with her,' it underscores that we're all such fans of each other, fans of each other's musicianship. Each of us wants to do really well for each other, because we love each other as musicians. I’m With Her performs at the Chan Centre on Sunday September 30th, 2017 at 7pm.